(17/P59) TRENTON – The Department of Environmental Protection is working closely with New Jersey’s county mosquito control agencies to step up public education efforts to reduce mosquito-breeding habitats and combat illnesses such as West Nile Virus, Eastern Equine Encephalitis, and the non-native Zika virus, Commissioner Bob Martin announced today. With a wet spring under way as well as the arrival of warmer weather, DEP is reminding the public that common-sense actions such as eliminating standing water, or removing containers where water can collect, can reduce the risk of exposure to mosquito bites and illnesses. “We continue to take our role of protecting the public seriously and the actions taken by our state mosquito experts in coordination with their county and local colleagues will help give us an advantage in protecting the population from all species of disease-carrying mosquitos,” Commissioner Martin said. The 21 county mosquito control agencies use a variety of methods to combat mosquitos, including public awareness campaigns, larval habitat source reduction programs, use of natural predators, and judicious application of approved insecticides by ground and aerial means to manage mosquito populations and reduce the threat of disease transmission. Raise, distribute and stock in appropriate sites fish that eat mosquito larvae. Use mosquito traps purchased and provided to the counties last year to collect exotic, invasive container-inhabiting mosquitos found in backyard settings. The information will be shared with state and federal partners to track the distribution of Zika virus vectors in the United States. Expand the State Mosquito Control Commission’s Eastern Equine Encephalitis surveillance program to monitor for this deadly and debilitating disease in areas where activity has previously not been monitored closely. Increase access to the state-supported arbovirus testing services that are in place. Educate the public on how to reduce exposure to mosquito bites, and the risks associated with mosquito-borne illnesses. Perform insecticide resistance monitoring on Asian tiger mosquito populations found breeding across the state. These efforts build on top of a 2016 statewide investment that distributed $500,000 in grants to county mosquito control agencies to supplement budgets for increased mosquito control projects, monitoring and identification efforts, as well as supplies and additional staffing. Additionally, the state purchased four distribution tanks to assist in the transport of mosquito-eating fish throughout the state and five temporary holding tanks to assist counties with their distribution of the mosquito-eating fish. Aedes aegypti is the primary mosquito most known for carrying and spreading the Zika virus. It is normally found in tropical climates and is unable to survive New Jersey’s cold winter conditions. Zika is a viral infection that is usually spread by the bite of an infected Aedes mosquito, which can also spread dengue and chikungunya. Outbreaks typically occur in tropical Africa and Southeast Asia. In May 2015, Brazil reported the first outbreak of Zika in the Americas. This activity expanded dramatically during 2016 with more than 60 countries where Zika is present. Local transmission of Zika also occurred in the continental United States for the first time in 2016, in South Florida and South Texas. About one in five people develop symptoms for Zika and infection is usually mild. The most common symptoms are fever, rash, joint pain or red eyes. 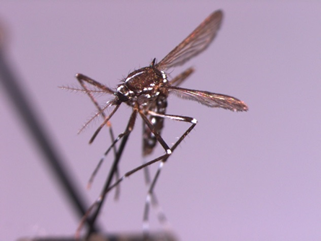 Pregnant women are especially vulnerable if bitten by an infected Aedes mosquito because the Zika virus can cause birth defects. The eggs of the Yellow Fever mosquito, Aedes aegypti, can be transported long distances if they are deposited in water-holding containers. These eggs can withstand long periods of drying. If introduced into New Jersey at the right time of the year and sufficient rainfall occurs, the mosquito can breed locally until winter temperatures kill off the population. 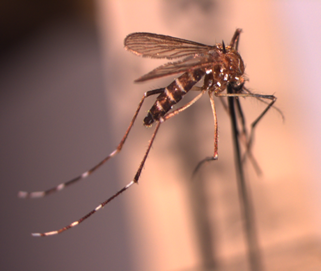 The last time a population of the Yellow Fever mosquito was found breeding in New Jersey occurred in 1991. DEP also is using biocontrol methods to combat mosquitos, by producing larvae-eating fish at the Charles O. Hayford State Fish Hatchery in Hackettstown, Warren County. To date, the hatchery has stocked 5.3 million mosquitofish since the program’s inception in 1991. Counties stock the fish in places of the greatest attraction to species of mosquitoes that are native to New Jersey, are a nuisance, or have the potential to spread disease. This summer, building on last year’s efforts in response to concerns about Zika and mosquito-transmitted viruses, the hatchery is acquiring, raising and distributing enough fish to meet local program’s needs. To date, 10 counties have worked with the state hatchery to replenish their supply of these fish. 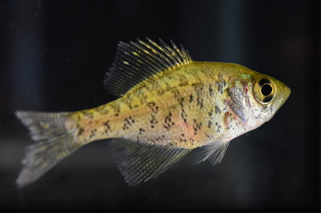 Five species of mosquito-eating fish are bred at Hackettstown for biocontrol of mosquitos: the fathead minnow (Pimephales promelas), the freshwater killifish (Fundulus diaphanus), the pumpkinseed sunfish (Lepomis gibbosus), the bluegill sunfish (Lepomis macrochirus) and the Gambusia affinis, also known commonly as the mosquitofish. The fish are raised at the Hayford Hatchery and distributed, at no charge, to county mosquito control agencies. The first four fish species are native to New Jersey, but the Gambusia originates in Central and South America. They are placed in water bodies with no resident fish, and no natural or manmade water outlets. They are stocked only in standing water sources which cannot be drained and produce mosquitoes by the millions. Clean out clogged rain gutters. Cover rain barrels to prevent access by adult mosquitoes looking to lay eggs. Downspout elbows and corrugated extension tubes moving water away from house foundations can also hold small amounts of water that serve as breeding grounds for exotic invasive mosquitoes. Check for containers or trash in places that might be difficult to see, such as beneath bushes or under your home.